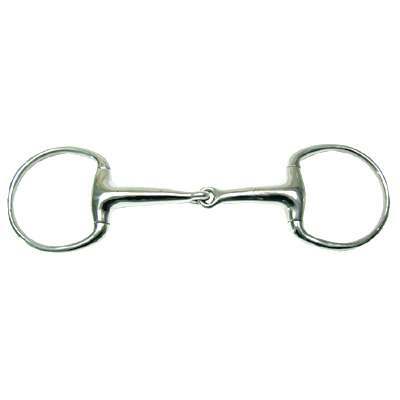 This Heavy Weight Solid Mouth Eggbutt Snaffle Bit will not pinch the horses lips and the mouthpiece does not rotate around the ring. This item measures 3" in the rings and 18mm mouth. With this Eggbutt Snaffle Bit the bit will also stay stationary in the mouth. This item also creates snapping action between the rings and mouthpiece.